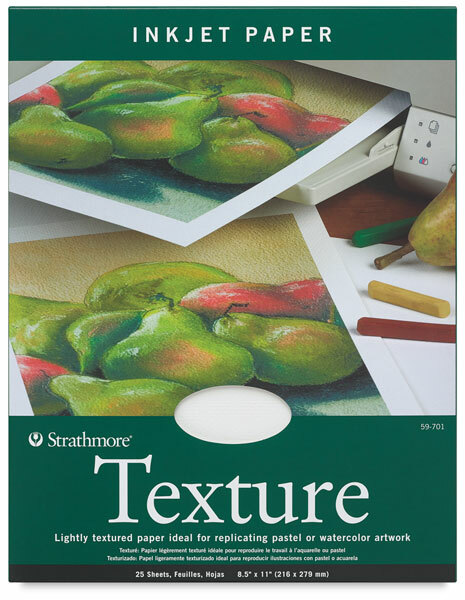 Strathmore has developed the perfect paper to produce long-lasting works of art using today's technology. Now this paper is available in many textures, surfaces, and weights. Print pastel or watercolor artwork with a light textured appearance. This fluorescent white paper is 80 lb (216 gsm).